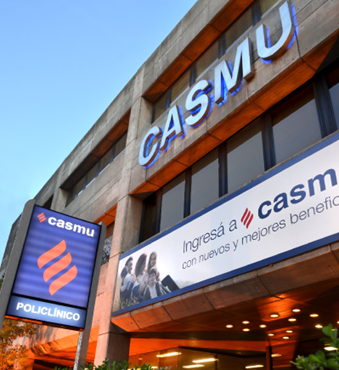 This Company with over 79 years, is one of the largest Uruguay’s health care providers. It also owns a funeral service and an Emergency Medical Service called “1727”, which coordinates their activities with this private health care provider. Simplifica is collaborating in the development and maintenance of their customers, sales and invoicing management system (CCRP), that centralizes customer’s activities, contracts, benefits and agreements. In addition, it generates invoices, statements and record payments. We count on a team of 5 persons working onsite, which is integrated by one Project Manager, one Team Leader and three Senior GeneXus Developers working together with CASMU’s Leadership and Development teams. "We needed to count on a team highly specialized in GeneXus technologies that could quickly be able to understand the business to carry out the maintenance and evolution of one of the main systems of the institution". "Forward together as a great team has allowed us to focus on activities that added value to the organization and allowed us to have tangible results in the short term”. “Working daily at the customer’s site, together with their team and actively participate in the analysis of the business processes, have been the keys to the success of this project”.